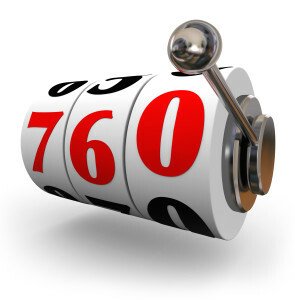 Credit scores mean the difference between getting approved for a loan or denied. Credit scores also determine what interest rate you may receive, getting approved for a place to live and getting the utilities you need. Your credit score helps lenders predict whether you will pay your bills or not. A FICO score is what lenders use to predict your credit risk. Why do I have three scores? Everyone has one score for each credit report provided by the three major credit bureaus: Equifax, Experian and TransUnion. Does it hurt my credit if you pull it? Your credit score can be lowered by having too many credit pulls. What if multiple lenders pull my credit? Multiple lenders pulling your credit within the first 30 days of your credit being pulled will not harm you. Why is your report different from the one I just pulled? Every company uses different credit companies to pull credit. They should all say about the same thing but may look different. The cost of a credit report depends on the lender as well as if the lender pulls one credit or all three. The cost could be from $10 to $40. How do I Disputed Accounts that are incorrect? First you need to research to make sure the information on your credit report is actually incorrect. Next, you should contact the creditor (or collection agency) to let them know the information is erroneous and send them the proof. The last thing is contact the credit bureau that is showing the erroneous account, ask them to remove it and send them the proof as well. What are Open Accounts on your Credit Report and do they hurt my credit? Open accounts are all debts that are reported to the credit bureaus, such as a mortgage, car and credit cards. If you owe a balance on your mortgage or vehicle (installment debt), the account is open. Credit cards (revolving debt) are different, even if your balance is zero, the account is still considered “open”. An examples of a Deferred Payment is student loans. Most banks/lenders who service student loans will allow Deferred payments for a certain amount of time if you are having issues such as loss of job or medical problems. Deferred payments on your credit report normally doesn’t affect your credit unless you were 30+ days late. Is Installment debt with less than 10 months left counted towards getting approved? For the most part, if there are less than 10 months left on your installment debt, it will not be counted in qualifying unless the payment significantly affects your ability to meet credit obligations. What is the purpose of an Authorized User on an account? Being an authorized user enables a person to establish credit that they normally would not be able to get. This is normally done between family members and it’s important to know that all non-payments on the account can hurt your credit even if your an authorized user. How does being a Co-signer for a note that I don’t pay affect my credit? You are ultimately responsible for all debt associated with you. Any late payments will appear on your credit report, so be certain you want to co-sign a debt. If you have applied for a mortgage, ask your mortgage professional for a copy of your credit report. If you have been denied credit for any reason, you will receive documentation in the mail explaining how to get a copy of your credit report. What’s this “free credit report” I hear about? The three nationwide credit reporting companies, Equifax, Experian, and TransUnion, are required to provide you with a free copy of your credit report, at your request, once every 12 months. I have credit protection – can you pull my credit? Yes your credit can be pulled when you have credit protection. The only time your credit cannot be pulled is when you do a “Credit Freeze”. How long do collections stay on your credit? Collections can stay on your credit for up to 7 years.